What a great find! I can't wait to print one for my photographer husband's birthday in a couple months. Thanks for sharing! This is so cool! You have such a knack for finding the coolest freebies online. Love it...and thanks! Thank you, and good karma, to those who provide these images! I wish my printer was able to handle this fine image. I did this two weeks ago. You can upload the print to staples website and pick it up. Get a poster frame at Micheal's with a coupon. Cheap art. So fun! Seriously amazing! Thanks for sharing! Thank you for sharing! Great idea for holiday gifts! Thank you for sharing. This is a great idea! 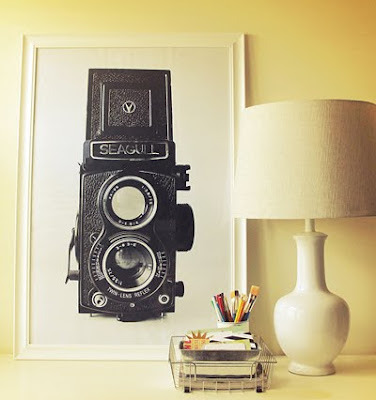 Pinned your vintage camera downloads to our Dylan Design Company Pinterest Home Ideas: Indoors board. nothing is sacred anymore i swear. everything is ruined by the internet. We have done in our home and looks great!